The Arizona Periodontal Group is lead by the experienced Phoenix periodontist Dr. Ariel Trujillo. We strive as a practice to give each of our patients high-quality periodontal services. We work with our patients to give them individualized care and to listen to their needs and concerns. Every patient is unique, and we take the time to listen and address every concern. Dr. Trujillo is also a Phoenix dental implant specialist, and he has made his office one where old and new clients are welcome. He and the team at Arizona Periodontal Group work to provide gentle dental care and to take time to get to know each individual patient. 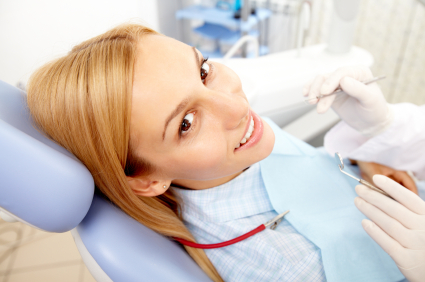 We know that some patients have worries or fears when it comes to going to the dentist. This is why we offer services that reduce anxiety like sedation dentistry. This also helps patients who have a lower pain tolerance. Overall, it is our goal to accommodate our patients and to help them feel welcome and safe. When it comes to specific dental procedures such as dental implants or the treatment of periodontal disease, also known as gum disease, it is important to go to a periodontal specialist. Dr. Trujillo has many years of experience as a periodontist. You wouldn’t go to a family physician for a medical issue that requires a specialist. The same holds true when it comes to oral healthcare. Seeing a periodontist can make a big difference when it comes to gum related issues and needs. We have much to offer the people of Phoenix. Our office uses the latest technology in the dental field such as LANAP to treat gum disease. These modern advances help us identify issues and give our patients the best care possible. Dr. Ariel Trujillo has many years of experience providing dental implants, treatment of gum diesase, and other specialized care. He is certified to perform IV sedation and is a Diplomate of the American Board of Periodontology. To schedule an appointment with us, feel free to give our office a call. We are happy to accept new patients, and our friendly desk staff will be glad to assist you. For periodontal needs, seeing a periodontist can make all the difference. We have the experience and high-quality periodontal care you are looking for in the Phoenix area.